What some of our happy clients have to say about us! Make Ready offers a great and efficient cleaning service to our home and our company. Their staff is very friendly and respectful. I would recommend Make Ready to any household or company in need of a helping hand. Excellent customer service and cleaning services are amazing!!! Thanks Ida-Marie & Cheryl!!! To walk through my home after it's been cleaned by Cheryl is such a pleasure and I find peace in a clean and tidy home. 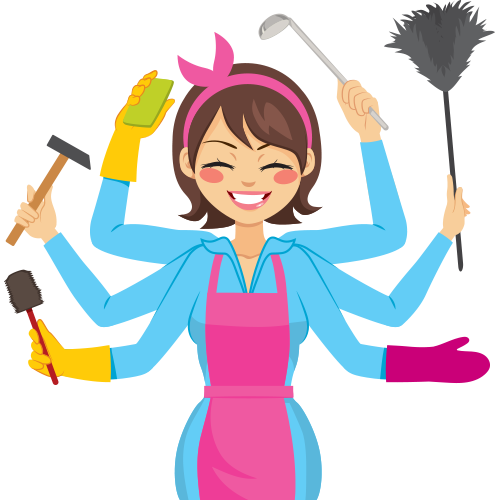 I am happy with the standards in which Make Ready Cleaning Services hold their cleaners to and would recommend them to anyone wanting to have a clean house without the fuss of having to clean it themselves! Great work ladies! Ever since we started working with Make Ready we have been SO satisfied. Ida is very particular about the ladies that work with her & they seem happy in what they do. We generally have the same 2 ladies every 2 weeks. They know our likes, dislikes and they LOVE our dog... Kim calls the night before to shore up a time, it can move a bit, not much but it's a nice courtesy to touch base. They are very professional, We have a good, open relationship where we can say please don't do this or that & they are fine - no offense taken. We would definitely recommend this company.